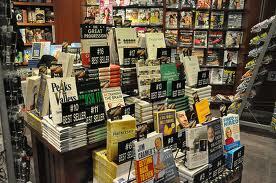 Books have always been regarded as an important source for the development and promotion of human values. They not only record new ideas but also impart values and work towards the overall development of the individual. Counted among the top ten industries in the world, the publishing industry of India has an estimated market value of INR 10000 crores; and India ranks third in the English Language publishing right after UK and USA. Though with the advent of the Internet and most importantly the Digital Media becoming stronger than ever before, the traditional publishing industry has undergone several changes. However, the printed book is still sought after by many Indians. 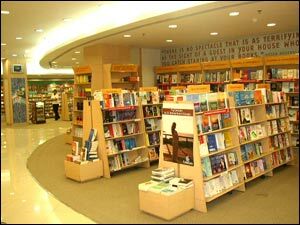 The ever-increasing book clubs, book stores in swanky shopping malls and new generation Indian writers becoming a hit – makes the publishing industry still ongoing. Moreover, the industry saw a boom with more and more international names foraying into the Indian market. From school books to Higher Education – medical publishers and so on – the Indian publishing industry has undergone several changes – more so with the integration of New Media/ Digital Media. Despite threats from other forms of digital media and the international publishing industry bearing the heat – the Indian segment of the same seem to be enjoying a new height. According to experts, the millennium old Indian mindset (in most cases) event-based promotion of the reading culture and a sudden spurt in the national and regional level literary festivals (Jaipur Literature Festival, Kolkata Literary Festival and others) have bolstered the growth of the industry. It continues to draw a new segment of readers. This was evident form the footfall recorded at the 2013 World Book Fair (New Delhi); the World Book Fair also transacted several international deals. A recent study by the Frankfurt Book Fair, revealed that the Indian publishing industry is already registering an annual growth of 15% which is estimated at nearly $2 billion. With a proliferation of international publishing houses, the publishing industry is in a good shape in India. The country today has some of the best international players in the market with some Indian publishing houses reaching international standards in production and design quality. Since the 1950s, book publishing in India has undergone a metamorphosis. Today, with the amalgamation of digital media (social networking/ Facebook pages/blogs of publishing houses) the Indian publishing industry is experiencing a new high. Interestingly, India presents an interesting scenario where the old (traditional printed books) and the new (e-books) co-exist. Though e-books are more lucrative, but going by the market trends, it can be said that the Indian publishing industry is here to stay in the coming future. This entry was posted in Publishing Industry and tagged Book, Business, Frankfurt Book Fair, India, Jaipur Literature Festival, New Delhi, Publishing, Publishing and Printing on August 21, 2013 by missionsharingknowledge.